Good article. I think it is an accurate report of the events and a strong analysis underlining the divide between the metropolitan and peripheral France I have already mentioned before. Sunday a group of moderate Yellow Vests were asking in an op-ed to find a solution to the crisis and the government invited them for talks on Tuesday but they were forced to cancel the meeting, the moderates having received death threats from some hardliners Yellow Vests. How to negociate with a leaderless and structureless movement ? You seem to make a lot of decisions about PEOPLE based on "ASSUMPTIONS." And you are rude in doing so some times. However, i believe your response was a bit "over the top." (assumption 1) you said " YOUR (my) POINT OF VIEW IS STRONGLY BIASED." (assumption 3) you said " YOUR FRIENDS IN FRANCE ARE PROBABLY AMONG THE SUPPORTERS OF MARINE LE PEN." (assumption 4) you said " THEY (LA PEN SUPPORTERS) REPRESENT ONLY A FRACTION OF THE FRENCH POPULATION ( AROUND 20 % IN THE LAST POLLS )"
(assumption 5) you said " YOU CAN BLAME EVERYTHING ON THE MIGRANTS BUT IT IS AS SILLY AS BLAMING THE HONDURAN MIGRANTS FOR THE INDUSTRIAL JOBS LOST IN MICHIGAN." (assumption 6) you said " THE BIG CITIES ARE BENEFITING FROM THE GLOBALIZATION (wealth and jobs creation) ". THE PROBLEM HERE IS YOU.......... !! WHEN ARE "YOU" GOING TO ADMIT THAT "YOU" ARE BIASED.........??? ACCORDING TO YOU, EVERYONE IS BIASED BUT YOU...! ! ! THEY WERE BORN IN FRANCE..
THEIR PARENTS SURVIVED THE DEATH CAMPS AS CHILDREN.. THERE IS NO DOUBT IN MY MIND THAT THEY HAVE "FORGOTTEN MORE ABOUT FRANCE, AND HOW THE FRENCH REALLY FEEL", THAN YOU, Guillaume Albasini, WILL EVER KNOW. My friends in Paris "DID NOT VOTE FOR LE PEN." Which is now something they freely admit they now wish they had done, for they say things would have gotten better under Le Pen, but, instead, have gotten far worse under Macron. They voted for Macron, and say Macron lied to them. They realized immediately after the election that they had made a mistake, and were devastated when things continued to spiral out of control. And yes, they said there were several abnormalities on election day that made them doubt the actual election numbers to this day. They ARE hoping Le Pen will run again in the next election. At that time, they WILL vote for her. You are quoting FAKE NEWS.... You are manipulating the numbers... CONVENIENTLY not counting them all. Over 45 years ago, when i was in college as an ACCOUNTING MAJOR, my Professors described your kind of accounting as " LS " - which means "Liars Statistics." In other words, "A BIAS TO MANIPULATE THE NUMBERS TO SUIT THE MANIPULATORS DESIRED OUTCOME." I can read as well as anyone, and at the time of the last French election, POLLS SHOWED OVER 53% OF the French populace were very concerned about the MIGRATION PROBLEM DESTABILIZING THE COUNTRY. In the end, Le Pen and her party were penalized and lost the election "BECAUSE OF THE NEGATIVE HISTORY TIED TO HER FATHER, AS THE FOUNDER OF THE PARTY. " That "negative history" apparently caused 33% of the French citizens who "AGREED WITH LE PEN'S IDEAS", to nonetheless vote for someone else. Leaving only approximately 20% actually voting for Le Pen. THOSE OTHER 33% OF THE FRENCH CITIZENS WEREN'T PRO-MIGRATION , THEY JUST DIDN'T TRUST LE PEN. MANY ARE NOW REGRETTING THAT DECISION TO NOT VOTE FOR LE PEN. Despite what you say, the French People are EVEN MORE CONCERNED NOW ABOUT THE MIGRATION PROBLEM DESTABILIZING THE COUNTRY, than they were at the last election. At poll out today, 12-3-2018, ( https://www.breitbart.com/europe/2018/12/03/poll-majority-french-people-say-immigration-is-harmful-nation/ ) says " 58% OF THE FRENCH PEOPLE BELIEVE IMMIGRATION HARMS THE ECONOMY, NATIONAL COHESION, AND NATIONAL SECURITY." So, the number of anti-migration French Citizens has RISEN FROM 53% TO 58% AS OF TODAY.... FAR MORE THAN THE 20% THAT YOU CLAIM THERE ARE. What is "SILLY" is your patronizing tone as you "ASSUME" that people in Michigan blame the NAFTA, GATT, and WTO, etc. treaties that destroyed the INDUSTRIAL JOB BASE IN MICHIGAN, and other American States on Honduran refugees. You are a Globalist worshiper. (C) hurts big cities just as much as it hurts small towns. The EU is an example of "GLOBALISM GONE AMOK", and that is why the EU economy is tanking, and the UK , among others want OUT. In conclusion, Guillaume Albasini, i do not know why you use your posts to attack me, and others. Can't you just "agree to disagree" ? and leave it at that...? * BUT, FOR SOME REASON YOU SEEM TO FEEL THAT "YOUR FRIENDS" ARE BETTER THAN "MY FRIENDS", and you want to argue about everything about France..
A long time ago, there was an American Journalist, Infantryman, and Writer named "ERNEST HEMMINGWAY." Ernest spent much time in France and wrote several novels about his experiences there. Ernest Hemmingway had a funny way of ending many of his "more controversial" descriptions of French Life. He would say what he had to say, and then add, as an afterthought, "BUT WHAT DO I KNOW ?.". Guillaume Albasini, i "ASSUME" that nothing will change, and you will continue as you are. That way, we can pretend we weren't insulted. ps: My French Friend's wife says you are lucky that the migrants do not seem to have moved into your area, as she says you would think differently if they had. As an American, I'm proud of my fellow citizens for not caring about our anthem or central government. I take it as evidence that we still want to be left alone and, therefore, are capable of sustaining some measure of freedom. I must say that that is a refreshing stance. Not exactly typical! (assumption 4) you said " THEY Le )"
That way, we can pretend were weren't insulted. Wow... I should be honored to have been the main subject of such a long comment. I never said I wasn't biased. Perfect objectivity is never found among humans. We have all our own bias because it's impossible to take into account all the parameters so we have do some choices and doing that we miss some relevant elements. You admit you are biased and i admit also that I'm biased towards a pro-globalist. pro left wing, pro liberal anti-nationalist and pros socialist point of view as you, as you describe me. So on what you call ASSUMPTION #1 we can both agree that our point of view is affected by our very opposed opinions. Moving now to ASSUMPTION #2, you said I edited the word EXPAT. But I never wrote this word nor edited it. You can check and you'll see my post wasn't edited. When talking about "french-bashing Americans" I was not talking about your french friends. It was rather about the US right wing community where franch-bashing seems from what I can read a very popular sport. I must admit however that US-bashing is also a very popular sport in Europe. I apologize if my sentences were not clear enough. I never doubted your friends were French. On ASSUMPTION#3 you just admitted that your french friends are now supporting Le Pen even if they voted for Macron. My assumption was not on what they voted in the last election but rather on their present political positioning. So my assumption was true. You said your friends are casting some doubts on the results of the last presidential election. May I remind you that Macron won with 66% of the votes and Le Pen got only 33% on the second round ? It should have been a very very very big fraud to change the results. My ASSUMPTION#4 is that Le Pen supporters represent only around 20% of the french population. I'm not quoting fake news or manipulating the numbers. Marine Le Pen obtained 21% of the votes on the first round of the last presidential election. And in the last poll on next year European election the National Rally is at 21%. The highest score Le Pen party ever got was in 2014 at the European election at 25%. The 33% obtained at the second round of the presidential election included those who voted more against Macron than for Le Pen and does not necessary imply a full support for Le Pen ideas. To be concerned about migration does not necessary imply supporting the radical solutions proposed by the far right. On ASSUMPTION#5, I'm not assuming the people in Michigan blame on the Honduran the lost jobs. I was just saying that blaming on the migrants the problems the small and medium french cities are facing would be as absurd as blaming on the Honduran migrants the industrial jobs lost in Michigan. I was just underlining that the french Yellow Vests protest is not an anti migrant protest. My ASSUMPTION#6 is that globalization is benefiting the big metropolis and hurting the small and medium cities. You said it hurts big cities as much as small cities. I disagree with you. I've based my assumption on several readings and conferences I attended on the subject. I'll try to find references in English for you. And to your French Friend's wife who says I'm lucky that the migrants do not seem to have moved into my area, as she says I would think differently if they had, you can reply that her assumption is wrong. In the city where I live 42% of the population are foreigners and it's not a problem. I had an interesting experience in Iraq: what was reported in the news, while factual, bore no resemblance to the truth on the ground. I see a similar phenomenon in America: those living comfortably read the news and assume all is well. Meanwhile, those who live in struggling areas tell their stories honestly only to be ignored. The rest of the country is safe and comfortable, so all their talk of unpleasantness must be political theater. Personally, I have lived and worked with people from both sides of the issue. Without exception, if people who live in an area complain that something is wrong, something has, in fact, been wrong. If @Illurion's friends live near France and report trouble with immigrants, my bet is that there is, in fact, trouble with immigrants. I would also note that Illurion's friends' comments about Islamic immigrants are consistent with Islamic behavior throughout all of history in every place. In short, they have multiplied, failed to integrate, and come to conflict with every native population they've encountered. I don't know of a single case where a Muslim majority has peacefully coexisted with non-Muslim minorities. If such a case exists, it's certainly not the norm. Given that frighteningly consistent track record, it should take extraordinary evidence to convince anyone that mass Islamic immigration has led to a result other than conflict. My take on the Germans is not exactly "numbers" based, as much as "events" based. The migrant / crime rate (RAPES, MURDERS, BURGLARY, TERRORISM) in Germany appears to be much larger than in France, and the German Government, like the French Government, is in full denial of the situation. 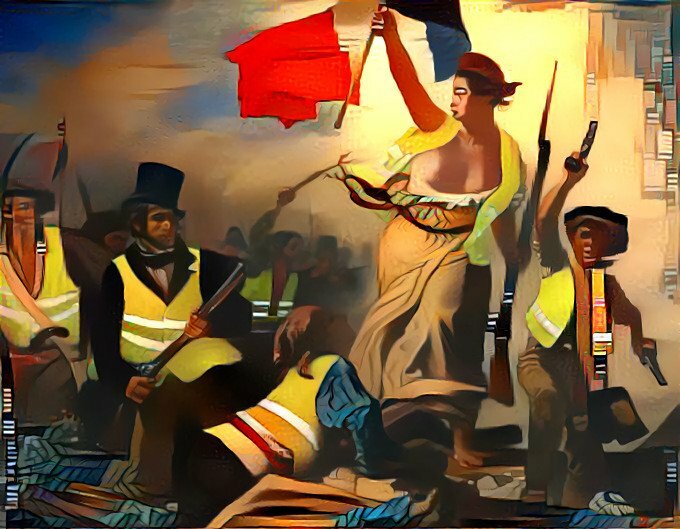 Both France and Germany are failing their people, and moving closer to revolution for different reasons. The French Government has far more migrants per capita, and those migrants are the cause of far more crime per capita than the native French population. BUT THE MIGRANT CRIME RATE IN FRANCE IS FAR LESS THAN THE MIGRANT CRIME RATE IN GERMANY. There is a HUGE CULTURAL DIVIDE in the France. However, it is the "FINANCIAL COST" of the migrant population that has tipped France past what i consider to be the point of no return. THE MIGRANTS ARE THERE TO STAY... THEY WERE INVITED BY THE GOVERNMENT... THEY ARE NOT ILLEGAL.... YET THEY REPRESENT A HUGE, UN-RECONCILABLE CONFLICT WITH FRENCH CULTURE. THE MUSLIM MIGRANTS WILL NEVER INTEGRATE INTO THE ESTABLISHED FRENCH CHRISTIAN CULTURE.. FOR FRANCE TO REMAIN FRENCH, THE MIGRANTS MUST GO... and they won't go willingly. Hence, war and revolution. Germany is different. There are fewer Muslim migrants, but they are FAR MORE VIOLENT. To make matters worse, not only is the German Government in total denial, but the German Government is taking active measures AGAINST THEIR OWN NATIVE GERMAN POPULATION to help WHAT THE GERMAN PUBLIC IS MORE AND MORE SEEING AS "CRIMINAL MUSLIM MIGRANTS" TAKING AWAY MORE AND MORE OF NOT JUST THE "RIGHTS AND FREEDOMS" OF THE NATIVE GERMANS, BUT THEIR PHYSICAL PROPERTY ALSO. The German government has begun kicking people out of their homes in order to give those homes to migrants. Germany is not the only EU country to begin doing so. In Germany, the "FINANCIAL COST" at this time is not the "tipping point" that will cause revolution, it is the "LOSS OF RIGHTS BY THE NATIVE GERMANS" that is the cause. So, in conclusion, two revolutions are coming down the pike. In France, it will be the Native French people, and possibly a new conservative government, going to war against the Muslim Migrants (who were invited in by the previous liberal government) to kick them out of France, and restore France to its historical Christian norms. In Germany, it will be the Native German people, standing alone, who will be going to war against their own government to overthrow and restore the government to Native German control, this would ideally be followed by the kicking out of the Muslim Migrants invited in by the overthrown government. But don't be surprised if the Muslim Migrants join the Government in fighting the Native German people. It is in the Muslim Migrants interest that the current German government stay in control. The German government has always shown a willingness to attack their own people. The French government has a history of being weak, and easily overthrown. But then, what do i know ? I never said I wasn't biased. Perfect objectivity is never found among humans. See, that wasn't hard. You wrote a whole long response, succinctly, and clearly, and didn't insult me at all. We both agree that my post was long, and i hope to not have to write another long one again. I am tired and going to bed now. It is possible to add a "quick search" to any web browser. I have mine set up so that typing "ddg <space> <term to search>" in the address bar completes a DuckDuckGo search. You can do this for any search bar in any website; it's quite convenient. Interested. How is the "quick search" added? What is the setup to make it an option? 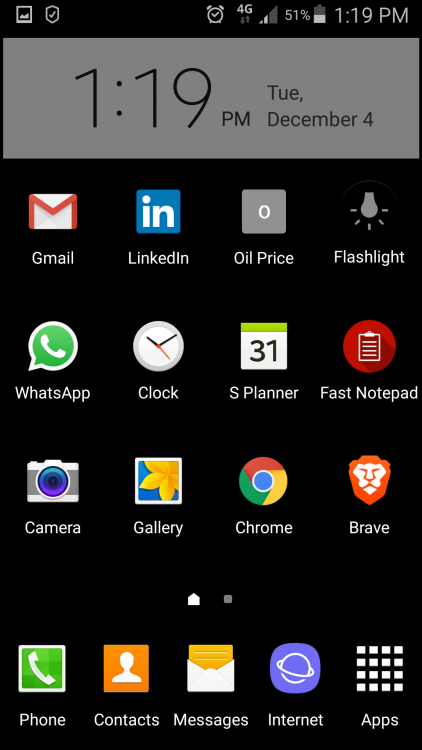 On my smartphone, I have 2 browsers on my home screen. ● The other browser is Brave, and I made its default search engine DuckDuckGo. (I tend to use Brave for most internet browsing - it blocks most ads by default). @mthebold was talking about being in ANY browser and being able to do a quick search in the Duck. I'm normally using Chrome and would like to do a quick alternative-search-engine search from within Chrome. I see there's a profound discussion going on here but this just in: a source told Reuters the government is considering a U-turn and suspension of the tax rise. Sorry for the intrusion! Yeah, saw that a while ago. Inevitable, really. But not enough (even one of Macron's ministers saying that). Why does this look a lot like the last U.S. election? Who is being patronizing and condesending again? Being a shrinking city is more than being peripheral to and dependent on global cities for resources. It also entails the internalization of a colonized mindset where decision makers actively seek affirmation from above by internalizing the institutional norms and practices that form the core of the global economy. This is largely a subconscious process where local leaders rationalize their actions as pragmatic efforts to make the best out of a bad situation. By failing to recognize the contradiction between the material conditions in shrinking and global cities, the former become alienated from their own interests, which perpetuates their acquiescence to the global economy." Yet what you are not allowing for, in referencing the quoted article, is that that writer is from BUFFALO, New York State. For our international readers, Buffalo, and its companion Niagara Falls (the city, not the Falls itself!) are old industrial sites, where American heavy industry, including steel and chemicals, were fabricated. At one time these were wealthy cities; walk around the streets of Buffalo and see the mansions that the captains of industry had built. So, why did it all fall apart? Was it some cabal, some conspiracy of financiers on Wall Street? Nope. The abject failures of peripheral cities in the USA such as Buffalo is the result of internal city politics. Those places ended up with large numbers of immigrant workers, in Buffalo and Niagara Falls from countries such as Italy and Poland and Hungary, and those migrants joined up and voted for the Democratic Party. The problem with one-party Rule is that it ends up corrupt and stagnant, and new entrepreneurs cannot cope with that mentality. So the new entrepreneurial class flows to the Southwest and the West, and sets up shop in places such as Santa Clara and San Francisco and Seattle. and the old industrial cities die. Do they need to die? Of course not! Once you kick out the encrusted layers of party sycophants and hangers-on that so stultify the internal thinking of those cities, and bring in fresh new politicians, they can take off. the fundamentals that were the bricks of those places are still there: access to shipping, water and rail, access to a labor force, good industrial land, what's not to like? But if you have a dispirited police force, and corrupted City Hall, and people constantly fighting each other, with influxes of drugs (especially drugs) and crime that goes with drugs, then nobody wants to know about you, and your city falls apart. It is easy for some college academician to go blame "Wall Street" and "financiers" for setting up some exploitative economic system, and a lot less painful than to admit that the failures of Buffalo lie right smack inside City Hall - and with the voters that put the corrupt into power. Not really. I would posit the thought that the underlying problems with French industry are its internal labor policies. The inability of a French manufacturer to actually fire anyone, to adjust the labor force to the ebb and flow of product demands, is the single biggest problem it has. France has effectively decreed that employers must deal with its labor as a fixed cost - same as if the employer purchased a new production machine. the difference is that, if demand shrinks, the manufacturer can go sell that machine tool and recoup some of the capital. But you cannot sell the people. They continue to cost you to oblivion. I remember the story of a typewriter manufacturing plant in, I vaguely recall, East Germany or Czechoslovakia. The Iron Curtain came down and the Italian gian Olivetti was invited to go in take it over. The deal was, you pay one lone dollar for all the assets, just keep the workforce employed. Olivetti took a look and walked away. Even at only one dollar, that plant was worthless,as the workforce employed could never be justified by the output of the plant. What does this tell you? Not ﻿really. I would posit the thought that the underlying problems with French industry are its internal labor policies. The inability of a French manufacturer to actually fire anyone, to adjust the labor force to the ebb and flow of product demands, is the single biggest problem it has. I remember the story of a typewriter manufacturing plant in, I vaguely recall, East Germany or Czechoslovakia. The Iron Curtain came down and the Italian gian Olivetti was invited to go in take it over. The deal was﻿, you pay one lone dollar for all the assets, just keep the workforce employed. Olivetti took a look and walked away. Even at only one dollar﻿, that plant was worthless,as the workforce employed could never be justified by the output of the plant. What does this tell you? Agree. But what I am trying to say is that protectionist policies paved the way for the strength of the unions which brought on this situation. So true. And incidently, in real life, these corrupt politician tends to blame immigrants for everything because that is that easier than than telling your base that there is only one way out of this mess and it ain't gonna be easy. Probably not. I suggest it is (was) the mentality of entitlement to perpetual employment at perpetual wages, forever, that brings on the protectionist policies, not the other way around. You go to the historical industrial regions in the North of France and you stumble across, say, some old tire-making plant. The French has a long and storied history in manufacture of tires: look at Michelin. Now, what brought about the collapse of this tire plant? Was it the machinery? Not likely. OK, was it the managers - were they profoundly stupid imbeciles? Probably not. What is left? Guess what: it is the labor laws. You hire that man, and you will keep him on at full pay until he dies. How can you run a plant under those conditions? Cannot be done. So the plant closes, and the tires are imported from Korea. Just lovely. The irony is that a workforce that adopts a flexible attitude generally expands and ends up with higher wages and benefits, as that plant with labor flexibility will continue to innovate, generate good gross margins, and capture market share, as well as introduce new products. Politicians, including (sadly) quite a few labor union leaders, just don't understand this. But why were these labor laws enacted? I am there is some causality / negative spiral in this. But why were these labor laws enacted? Never underestimate the profound stupidity of really dumb people.